The provision of an interpretive site appraisal report including an assessment of environmental issues pertaining to the site and its redevelopment. 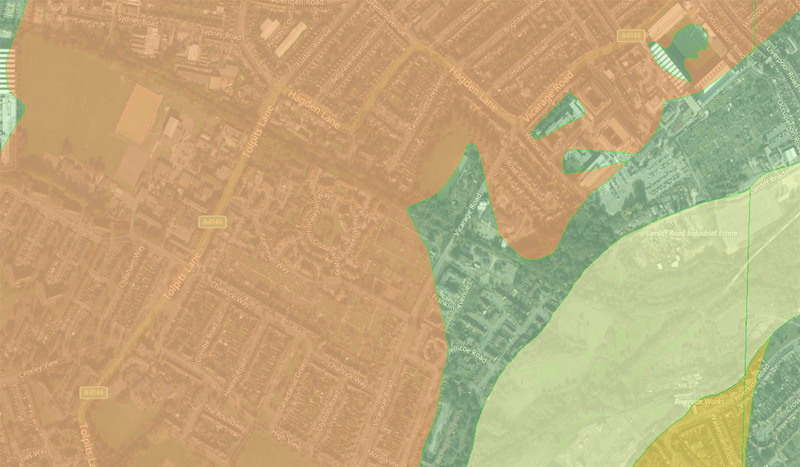 Geo-Environmental Services Limited was instructed by Jarvis Contractors Limited to undertake a desk study and intrusive ground investigation to assess the geotechnical and geoenvironmental issues pertaining to the proposed redevelopment of eight separate sites in a Watford housing estate. The possible presence of deep Made Ground on the site, which may affect foundation design and construction. The possible presence of shrinkable soils and the impact this could have on foundation construction. The presence of laterally and vertically variable strata and the impact these could have on construction. The desk study and PRA also identified a limited number of possible sources of contaminants. The investigation was to comprise a desk study of geotechnical and environmental factors pertaining to the site, including a site walkover survey, a review of available historical maps and an examination of other sources of geo-environmental and geotechnical information. Subject to the findings of the desk study, an intrusive investigation was to be undertaken into the geotechnical and geo-environmental conditions pertaining to the site. respect to foundation design, pavement construction, soakaways, concrete specification and excavation stability. In terms of the environmental investigation, a Preliminary Risk Assessment (PRA) was undertaken as part of the desk study in accordance with CLR11, in order to provide a basis for the scope and rationale of the subsequent Phase II ground investigation. The data from Phase I and Phase II were then to form the basis of a subsequent Generic Quantitative Risk Assessment (GQRA). The objective of the risk assessments was to evaluate the risks posed to the proposed redevelopment, adjacent land uses, and the wider environment, in the context of the development options, immediate liabilities under the Environment Act 1990, and risks posed to Controlled Waters under the Water Resources Act. The key challenge on this project was the timescales, with all the sites requiring turnaround in the space of a few weeks. Within a day of the site visit, risk assessment and method statements were produced and a preliminary investigation plan was then drawn up which detailed each of the investigation points, and whether a cable percussive rig, window sampler rig or trial pit was required. The risk assessments and method statements were submitted to the Clients Health and Safety representative for review prior to the works commencing. Progress was monitored on the project using our online project management system (see screenshot below) and any potential delays identified and mitigated. The rapid transfer of investigation data from the site to the Project Manager enabled testing to commence at an early stage of the investigation and facilitated an effective logistical control in terms of supplies to site, transfer of samples to testing laboratories and management of personnel and operations on site. The report provided recommendations to support the construction of foundations, excavations, pavements and soakaways, as well as advice on the design and specification of sub-surface concrete. In addition advice was also provided on gas protection measures, depths of topsoil, backfill and reuse of materials and waste.